M.C.C. Premiership Player 1947 A1, 1958 B Grade, Victorian Team Representative – Claxton Shield 1950, 1951, 1952, 1953, 1954, 1955, 1956, 1957, 1958, 1959, Victorian Claxton Shield Team MVP 1954 & 1956, Australian National Team Representative 1954, 1955, 1956. Video of Max Lord catching for Australia in the 1956 Olympic Exhibition game vs USA below - close up at around 0:09 - 0:11. Max Lord was a Claxton Shield representative between 1953 and 1959, the Claxton Shield Victorian Team MVP in 1954 and 1956 and represented Australia in 1954, 1955 and 1956 including a game during the 1956 Melbourne Olympics. The quiet man behind the mask in over 180 games for Melbourne, Victoria and Australia has called "time and game". Max Lord, one of Melbourne's all time catching greats, played in more than 300 baseball games in a career that lasted 20 years. Quiet and unassuming, Max was one of the finest receivers in the game and caught such stars as Ross Straw, Ken Stephens, Ern Bolton and last season, Alan Connolly. 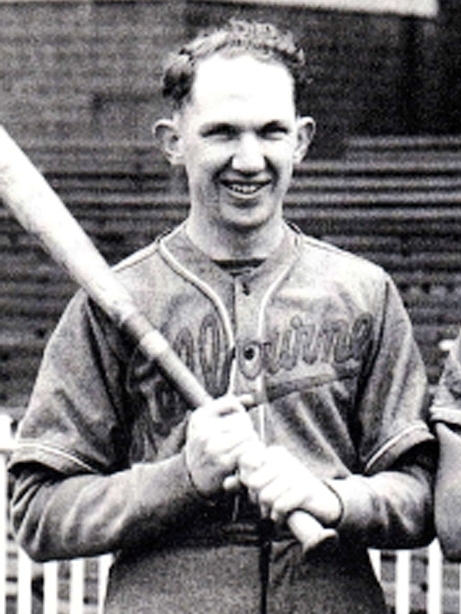 Max began his career at Melbourne in 1944 after playing 4 seasons with M.H.S.O.B. as a shortstop and first baseman. 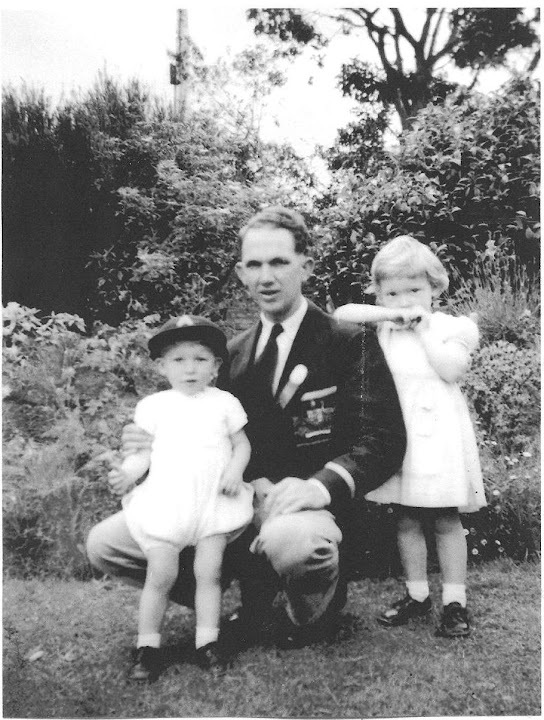 During the war he played in services ball in Adelaide and Labuan Islands. He then played in both firsts and seconds till he established himself in "A" grade in 1949. 1950 saw his selection in the State squad. In 1953, Melbourne's club championship year, Max became the State No. 1 catcher - a position he held almost exclusively until he retired. 1954 was his peak year when he was judged best player in the carnival title with a batting average of 0.455 and fielding 1.000. Naturally, he was selected in the Australian team. Max again was Australian catcher in 1955 and in 1956 played against the Americans in the Olympic Games after winning the Most Valuable Player award at the Adelaide carnival. Max, always a fine clubman, stayed with the Demons through the bleak 1957-58 seasons, and was a major factor in our return to "A" grade again in 1959. Max Lord won State selection and caught Ern Bolton for hi no-hit game against N.S.W. Now Max Lord has retired and Melbourne has lost not only a very great player, but a really fine gentleman. After finishing his career in the firsts, Max then dropped down to becoming playing coach of the thirds in the early to mid 1960’s with a number of other Hall of Fame inductees coming through that team under Max. Max also coached junior teams including the 1965 under 14 team shown below. Back Row: Peter Langford; Brian Albrecht; ??? ; Douglas Evans; Sam Gardiner; Gary Duff; ????. For those who came through the juniors in the 1960s under the likes of Max Lord and Ken Stephens, it was a fantastic introduction to baseball. The Under 14 photo leads to a couple of stories involving other Hall of Fame inductees, David Went and Wayne Bishop. 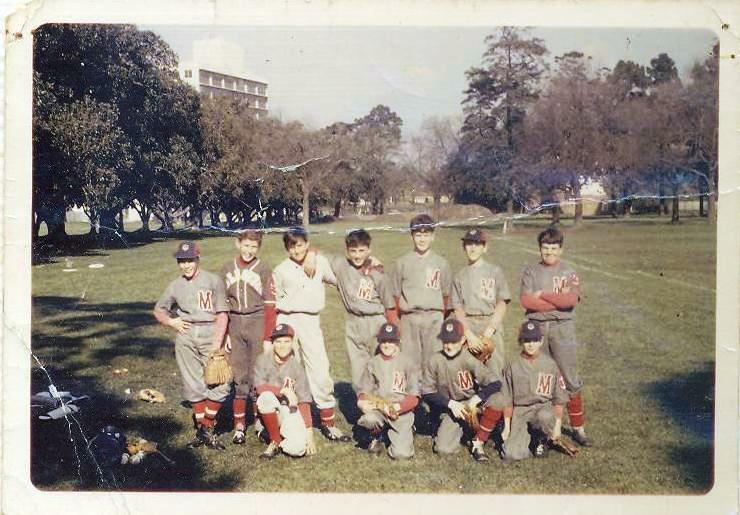 The pitcher in the Under 14 Team was Brian Albrecht but after the juniors he moved to Canberra where he continued his baseball career. In 1975 as the Club was going through a rebuilding phase, coach David Went looked to bolster the pitching stocks and one initiative was to have Brian return from Canberra. He played a couple of games including one at Sandringham. As a left hander he had a good pickoff move to first base and that particular day, it is fair to say he had a number of opportunities to give this a workout. Not so however against the Sandringham batter who launched a shot deep over the right field fence and did not bother stopping at first as he broke into his home run trot. Brian returned to Canberra after only a few games but pleasingly continued his baseball there and in 1992 received the ACT Baseball Association Chairman's Award for his contribution to baseball in Canberra. The Canberra experiment though was nothing compared with the javelin throwing experiment!